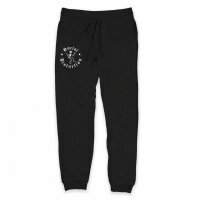 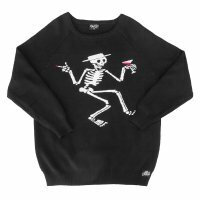 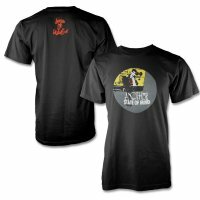 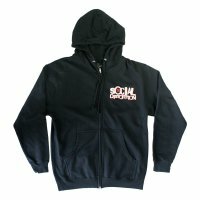 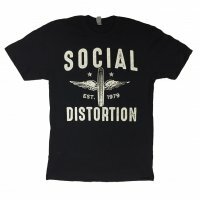 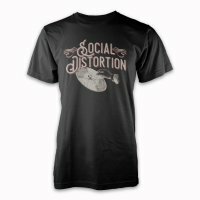 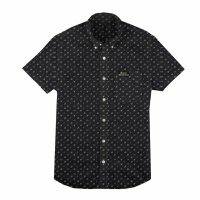 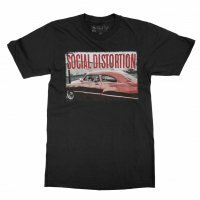 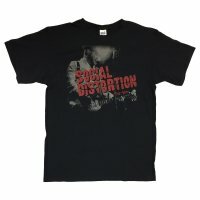 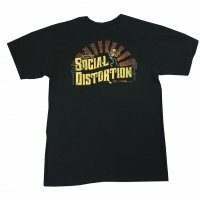 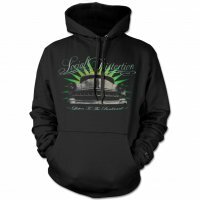 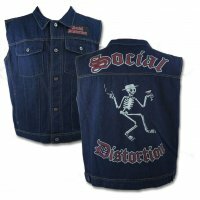 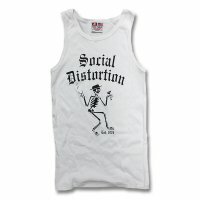 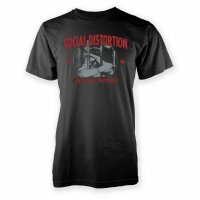 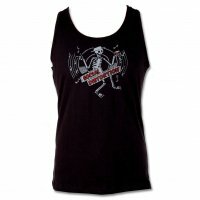 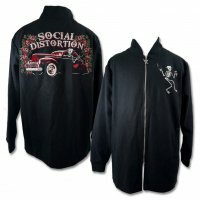 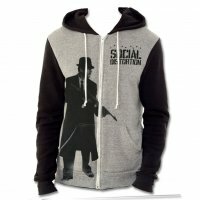 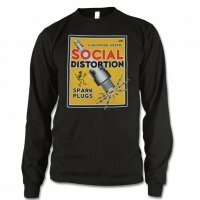 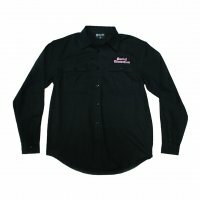 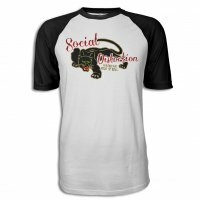 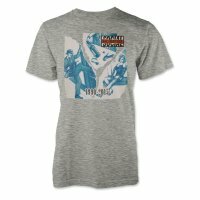 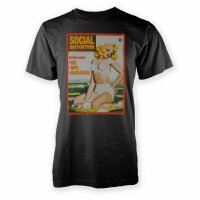 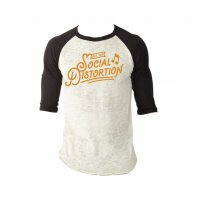 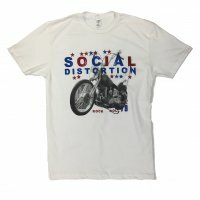 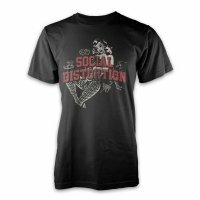 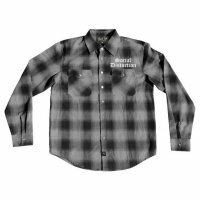 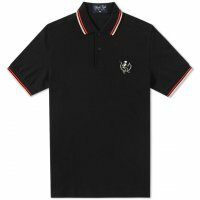 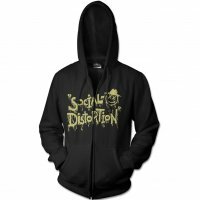 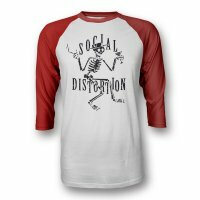 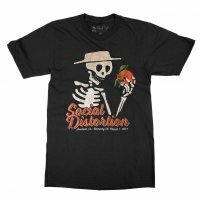 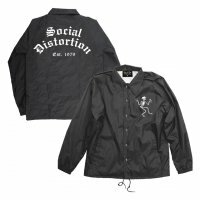 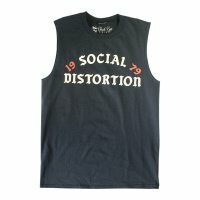 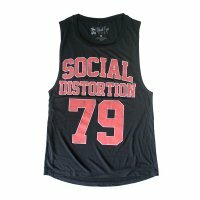 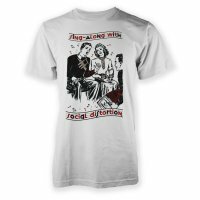 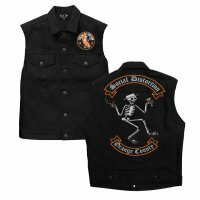 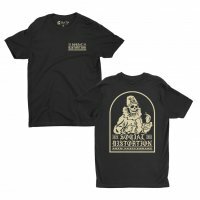 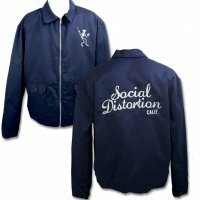 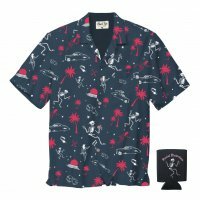 This is a unique shirt exclusive to the Social Distortion webstore. 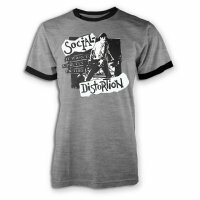 Printed with discharge ink on a black shirt, this is the FIRST ever Social Distortion logo drawn by Mike Ness…who was in high school at the time. 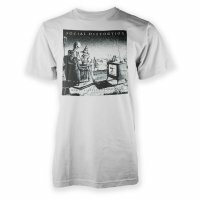 The art was recently discovered and it’s now available on this shirt.